For two days I unintentionally stopped remembering why I was fasting from things: to depend on God to heal my wounds – big and little – instead of relying on other things that bring me a therapeutic sense of security in some way. So quickly I went away again and needed to come back again. I thought myself to be fickle, incapable of fasting from the things I cling to for 40 days. I had mentally decided, not verbally admitted, that I was giving up on my Lent callings. Last night, I hung out with a college friend I haven’t been active friends with since college until now. In college, I still operated in a shame based identity. Because I’m so open and transparent about most things now, I sometimes forget that people I knew then don’t know many of the things about me that people I’ve met sense do. I unhesitatingly shared many things about my childhood and family without emotion, not emotionally closed off or anything, I am just so far removed, that it’s normal to talk about. My friend, fighting back tears, said that she wished she had known these things about me, my life, and my family in college. She often thought no on else had been through things like she had. She said it made so much sense, the way I’m different now, released from all of the shame. In my sleepiness, I was thankful, but not reflective enough to be fully moved. I sat down this morning at my normal Starbucks table, determined to come back and not give up on my Lent calling to fast. I was reminded of Psalm 38. I began to fight back tears and spill my coffee as I reached for it in an attempt to distract myself from crying [again] at Starbucks. I knew that what on Monday I decided not to write about, today I needed to write about. I was back in one of “those moments” needing to come back again because I went away again. And then Ellie Holcomb’s song Marvelous Light in perfect timing had it’s turn on shuffle and filled my ears with even more applicable truth. Friends, we are released! Free from shame, free from the past, free from lies. Yes, we mess up and need to come back often, but we’re free! We GET to come back. 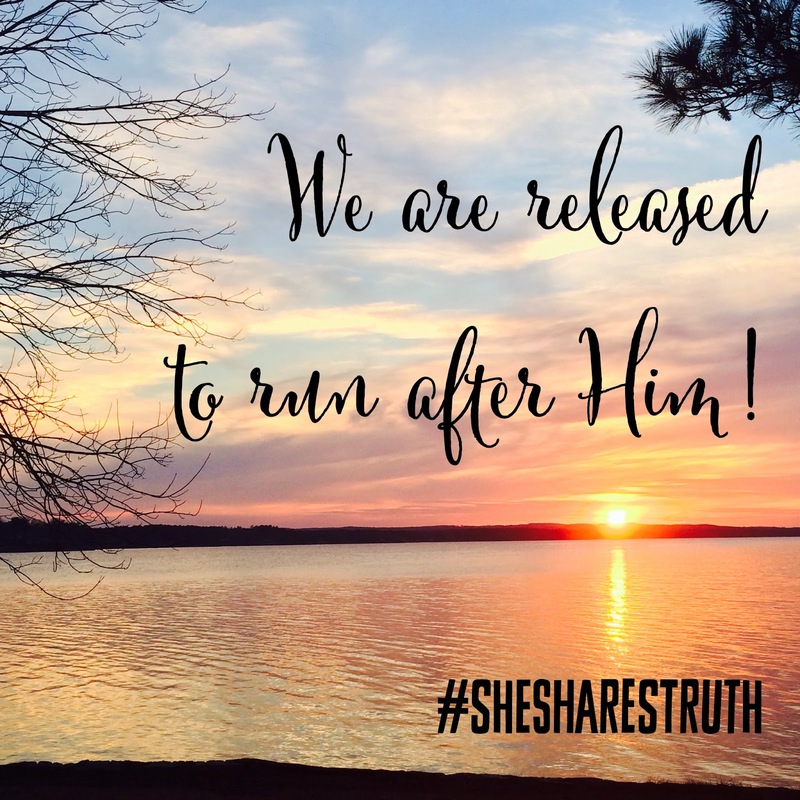 We are released to run after Him! “We are released to run after Him!” I love that! Thanks for sharing your heart!